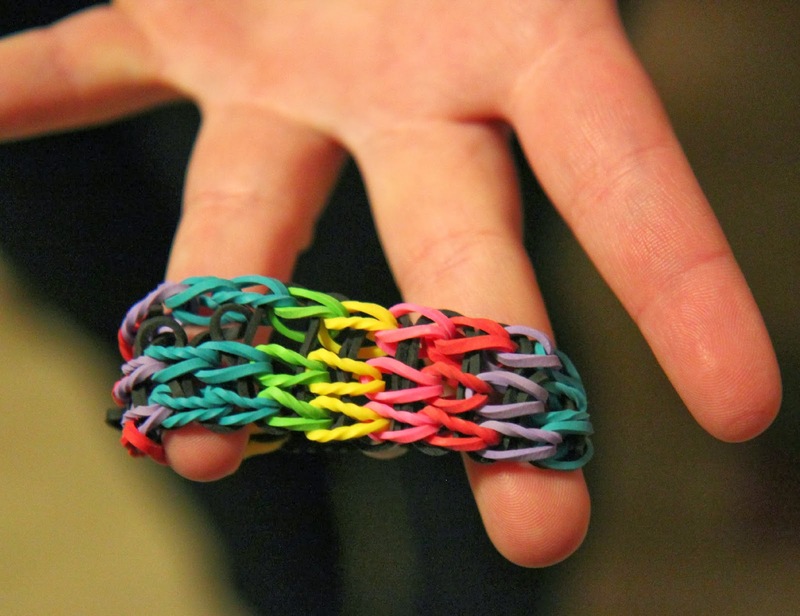 You've probably seen all the rubber braided bracelets that kids are going crazy over these days. 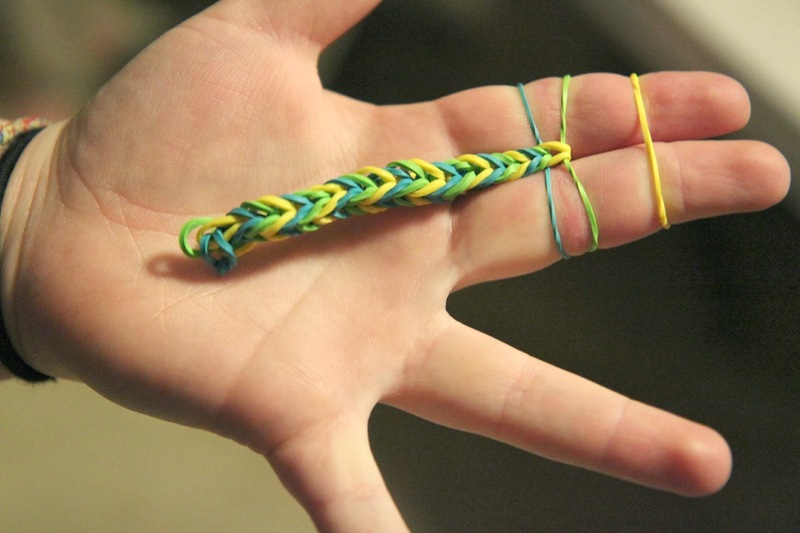 They remind me of the braided bracelets I used to wear in the 80's that were made from "floss" string. 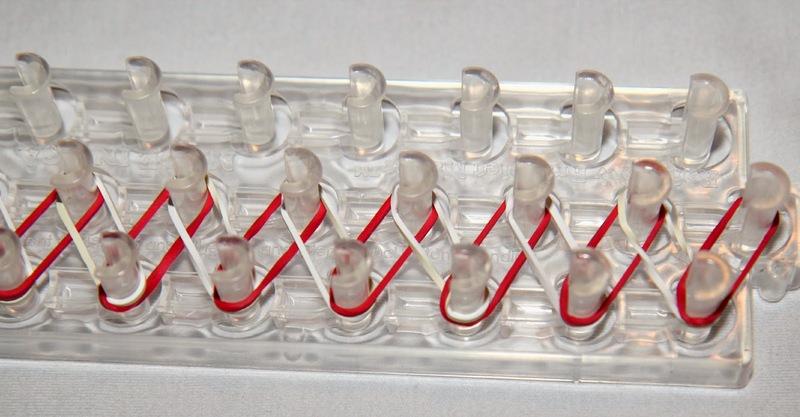 (Or, better yet, do you remember the friendship "pins", made from beads strung unto safety pins?) 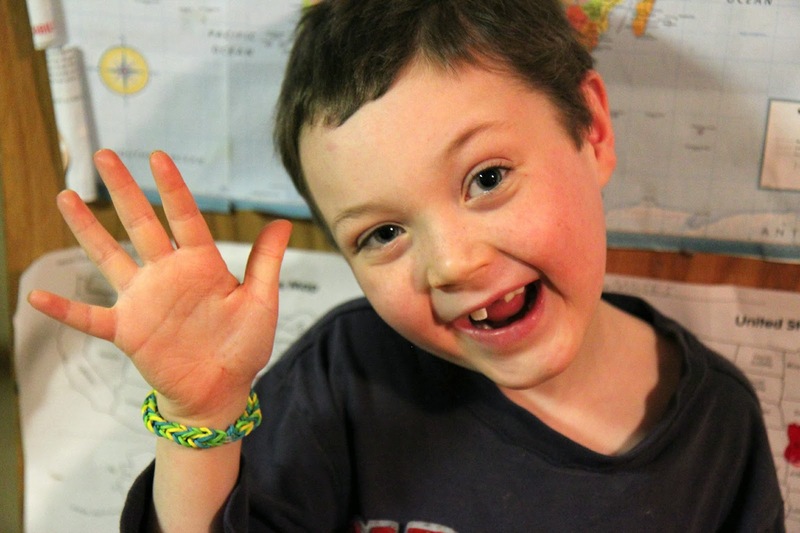 Just as colorful and creative, the rubber bracelets of today are easy to make and customize for each child's preferences. With a product like the Wonder Loom from The Beadery (available at Walmart), kids can now make them with even spacing and very little effort! This kit is priced under $15, made in the USA, and designed for kids to start making bracelets right away. 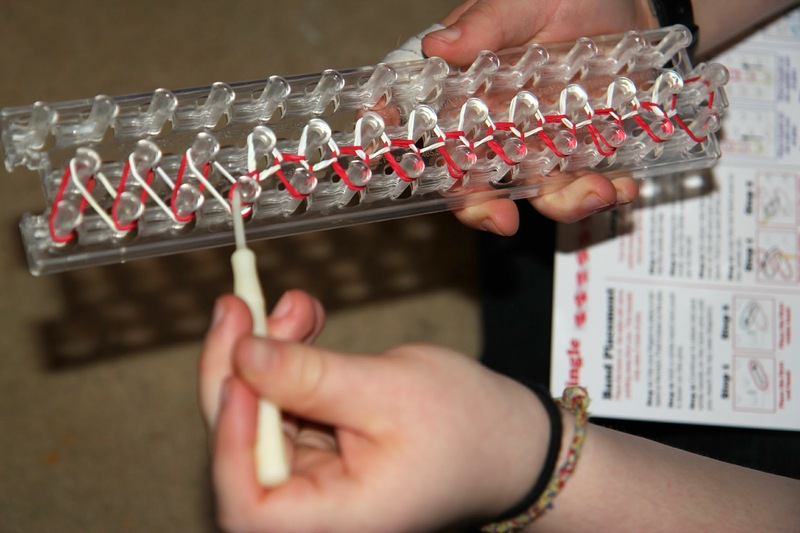 It comes with the "loom", the tool, and an assortment of bands to create dozens of bracelets, rings, or anklets. Within 10 minutes, my daughter had created her first bracelet. After doing a few, she became better and better; she was making more complicated bracelets, too! The boys over age 3 each got their sister to make them their own bracelets. They loved them! You can also use this kit to make rings and anklets. This is such an affordable, rainy day craft for kids and parents to do together. With the bands being so inexpensive, it's also possible to keep refilling the kit to make more and more accessories. These are great for "trading" with friends. Get the Wonder Loom for $12.88 in stores or online! The refill bags are just $4.98 and contain 1200 rubber bands. 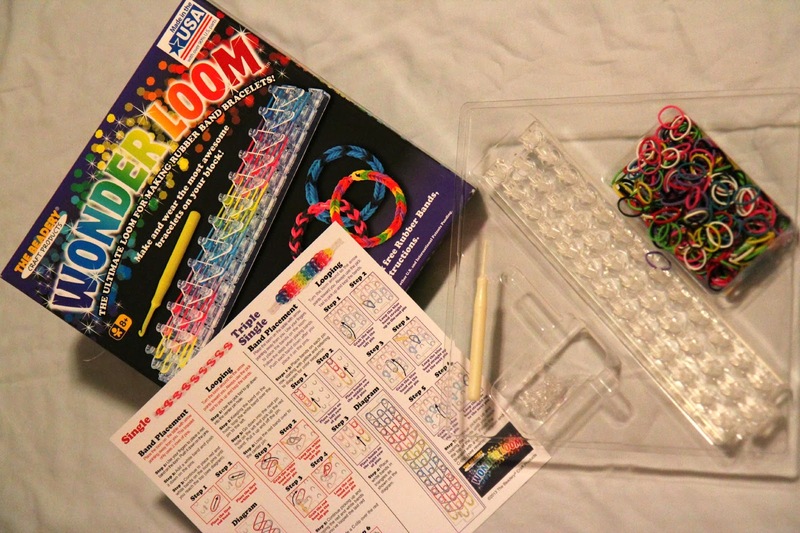 You can get even more ideas for projects with the loom and bands with the $5 project book.